The right-wing myth that prohibiting discrimination against transgender students causes confusion and inappropriate behavior has been shattered by evidence from 17 school districts, reports MediaMatters. 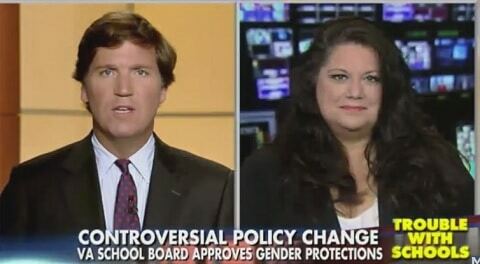 Although conservative media outlets argue that transgender non-discrimination policies in schools create confusion, violate students’ privacy rights and can be exploited by students, MediaMatters research shows that 17 school districts covering 600,000 students have experienced no such problems. “Our District seeks to foster an educational environment that is safe and free from all discrimination for all students. We are very aware of, and participating in, the discussion regarding transgender students using the bathroom of their choice. Additionally, we are currently updating our annual training materials to discuss this matter. We will continue to be involved in these discussions with both our internal population as well as external subject matter experts and updating our training materials appropriately. 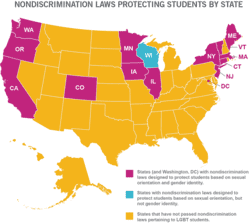 The MediaMatters report also looks at transgender non-discrimination policies in California, Connecticut, Illinois, Maine, Massachusetts, Minnesota, New Jersey, Oregon, Washington and Vermont.